A number of options for different online psychology degree specializations are available at both the graduate and undergraduate level, helping students to gain the specific skills and knowledge necessary to successfully work with individuals and organizations. A psychology degree begins to develop a graduate’s foundation for understanding human behavior and thought to successfully conduct research, work with clients, and manage cases. After completing a number of general education and introductory courses in the first year of an undergraduate degree, students often complete courses such as foundations of behavior, abnormal psychology, behavior analysis, neuro-anatomy, memory and cognition, learning and motivation, and personality theory. Students typically also complete courses in research methods and complete fieldwork. At the graduate level, students will also complete significant hours of clinical and fieldwork study, as well as completing advanced courses similar to those at the undergraduate level. Psychology is a diverse field that offers a number of opportunities for professionals to match interests and strengths with positions and specializations. Additional information on psychology careers and education can be found at the American Psychological Association website. In addition to completing the requirements for the psychology major and general education coursework, undergraduate online psychology students have many options at schools around the United States for specializing a degree. These specializations often build off the major coursework, requiring more courses to be taken within a specific area of psychology. Examples of areas of specialization that can be found in undergraduate programs include social psychology, forensic psychology, child development, adolescent development, and mental health practice. In child or adolescent psychology, students are likely to complete courses such as abnormal psychology, cognitive development, and directed child behaviors study. 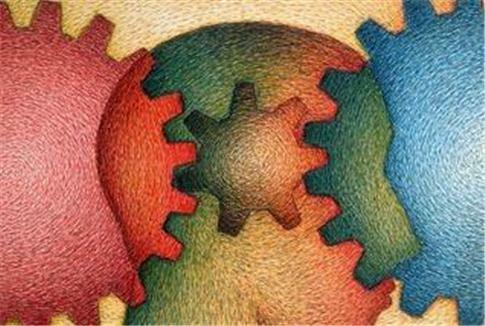 In social psychology, students concentrate on courses such as interpersonal influence and advanced social psychology. In forensic psychology, a student will complete courses such as health psychology and the psychology of stress. Students in a forensic psychology specialization program are likely to complete courses such as psychology and the law. In a graduate program for an online psychology degree, students typically focus an entire curriculum on one specific area of specialization. Many graduate programs offer the same specializations as the undergraduate level, providing students with more in-depth and advanced coursework in the area of concentration. Additional specializations that are often offered at the graduate level include organizational psychology, educational psychology, cognitive psychology, developmental psychology, clinical psychology, school psychology, and neuropsychology. Growing areas of interest also include specializations in sports psychology, environmental psychology, and perceptual psychology. For students interested in continuing to pursue a doctorate, clinical psychology is often the preferred option. Whatever specialization an undergraduate or graduate student chooses to pursue, the concentrated knowledge in one specific area is a helpful beginning to finding success in a rewarding career. From interest in sports to education to counseling, prospective students can find the right option for online psychology degree specializations to fit future education and career goals.